Just wanted to say how great this event was! Luckily it coincided with our previously planned family vacation. Loved having a chance to vote for who would appear via the Disney Parks blog! All the characters were great to interact with (for both young and old fans), and the cast members helping out did a great job to keep things moving and fun. After seeing how popular this was I’m hoping we will continue to see events like this and maybe with some advance notice so out-of-state fans can plan to come too! Thanks again for the awesome event – well worth the trip. The lines were massive especially for the Herc unit. I hope the Disneyland Resort entertainment team took notice on the popularity of bringing long lost friends back and continue to host this event on a regular basis, two times a year would be ideal, slowly working through the catalog of Disney Classics. Event if you revisited the films represented this time, you could still have Angel, the other 6 Dwarfs, Lost Boys, Stromboli, the Blue Fairy, Lampwick, Little John, Maid Marian, Kala, Kercheck, Pain, Panic, and Phil! Thanks Chad. That is an amazing list I wish I could get out to see. It would add a lot to my character photo collection. Hope you had a blast with everyone. Can’t Believe I forgot Hercules! Thanks Chad, that would be great! Thank you for another wonderful Limited Time Magic event. I really love the long-lost friends idea, so I was eagerly awaiting this. I found all the characters I met were great with the guests. My interaction with Merlin will stand out in my memory. When asked what kingdom I was from, like a dunce, I couldn’t think and said, “I’m from a really big kingdom.” Ha! Should’ve answered with Magic Kingdom, haha. The cast members there were also fun and entertaining. I didn’t catch their names but two guys serenaded a lady with the “Beauty and the Beast” theme song and one of them started dancing with her. 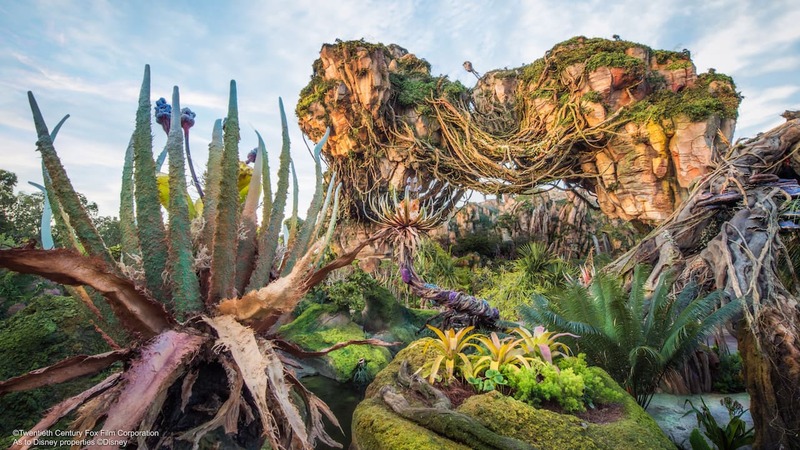 It’s stuff like this that people remember, and will make their visit to Disneyland special. Thank you! I will try to get to the park today. If I do, I will post the complete list of characters! So happy that the last day of this falls on the first Sunday back for SoCal Annual Passport holders 🙂 Even though we were just there for two days this past weekend, we’ll be back on Sunday to see Hercules, Meg and Merlin!! Really, given the nature of the event, it would be nice to have a full list. So far, there is no one there that I am overly excited to see, but who knows without a compete list? Haven’t seen these characters in a very long time. Look forward to seeing them on Thursday. Just curious, the characters, are they out all day (from like 11am – 5pm) or only for short periods of time. Are all the characters out every day or only certain days. For example, Merlin will be out on Monday but not any of the other days? Trying to get a senses of activities to see if I can at all possible change my current vacation plans. This one is a really important one to me. Colleen – The long-lost friends will be there throughout the day, 11 am – 6 pm. Will you ever do Long Lost Friends with a little more notice? I really want to do this, but don’t live in California. 🙁 I’m just going to miss it. I’m coming out the week after for my birthday. Will Meg be out everyday during that week? My daughter loves Meg. Might consider an impromptu trip down to Disneyland from Canada! Will be there Friday the 23rd! Would love to see Baloo and Kit Cloudkicker! haha Talespin was my fav show on the Disney Afternoon growing up. Now that I’m 25 I miss those guys! haha excited to be visiting the happiest place on earth!! I am so excited!! I voted for Herc & Tarzan’s group!!! Ahhh!! So happy. Definitely going to pay a visit sometime next week!!! Are the characters out at park opening or a little bit after that? YAY! Tarzan and Jane were the ones I missed last time around for long lost friends. Can you tell us what times they will be out each day? None of the ones that I picked. I’ve met Hercules, Merlin, Tarzan, & Terk. But that’s okay since I won’t be there until December. Don’t you wish you could have all the forgotten and old characters? My son would love to see Darkwing Duck and the Rescue Rangers crew. My identical twin daughters would love to meet Minnie’s identical twin nieces, Millie and Melody. YAY! I was hoping they would be there for my trip! I’m going on the 20th 😀 Can’t wait to take pictures with them all! Is there a certain time the characters will be out? Or will they be there throughout the day? 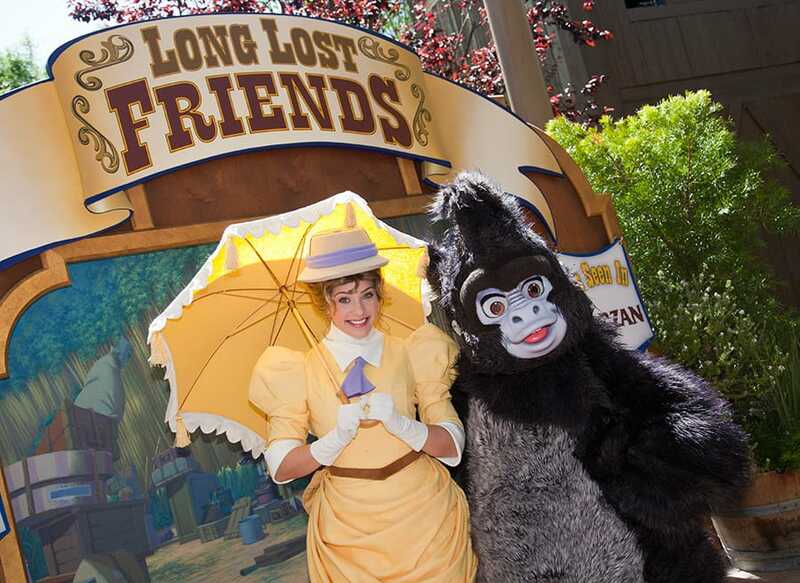 These long-lost characters will be greeting Disneyland park guests throughout the day, from 11 am – 6 pm. Who’s glad he has friends coming into town and took next week off? I know someone who would love to be surprised by Chicken Little and Abby Mallard. Wow – what a wonderful lineup – plus surprises? What more can we ask for? Definitely flying out for this one, as I have for all four Long Lost Friends. Please though, keep this, and the other “Relevancy Initiative” type events coming in 2014 and beyond. They make frequent visits to the Disneyland Resort fresh and fun, every time!!! Can you please provide a full list of the characters, so we can decide if we are going early to line up? I’m sorry, MaryJo, but that’s all I can tell you at this time. I’d always figured they’d be at Disneyland, near Tarzan’s Treehouse. Nice to see them back. So close and yet so far. I will be missing this by just a few days. Hopefully some of the AMAZING characters will visit during the Marathon or travel to WDW. What an awesome line up!